The lake in Cenote Angelica is not entirely unique but nevertheless no other place in the world has brought such impressive sights and images. Deep in this lake is a weird, gloomy fog which constantly is in the move. Below this layer of mist is the next layer of water – lifeless, dark realm behind the eternal mist. Nowhere else in the world exists such landscape as in Yucatan Peninsula, Mexico. Here have been found at least 7 000 cenotes – specific sinkholes which formed when above the countless water-filled cave passages the limestone roof collapsed opening a view on deep blue cave lake. Quite a few of these cenotes are unusual and even unique – some contain carcasses of long-extinct animals, others have rich finds of ancient Maya offerings, some have weird light effects and others – unique, bell-shaped stalactites. Cenote Angelica has its own peculiarity. 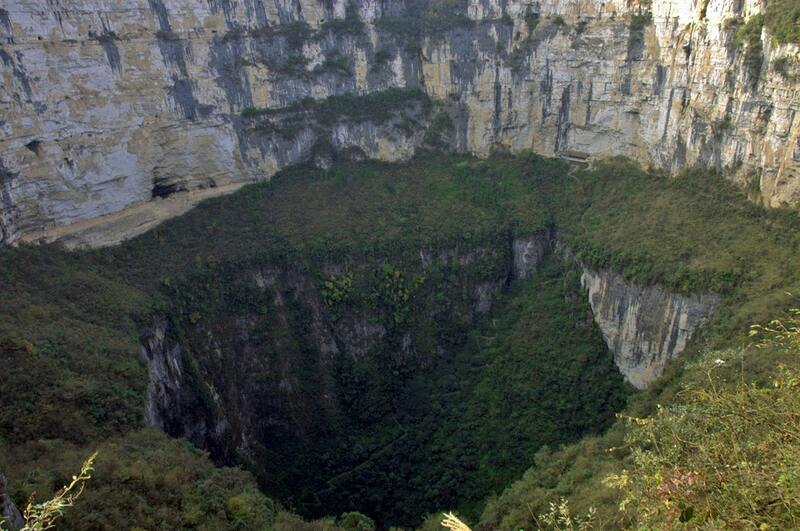 This cenote is 57.5 m deep – one of the deepest. But at first, it may seem that its bottom is at the depth of some 30 – 33 meters. Here it looks like the clear, calm water meets something otherworldly – a constantly moving white cloud. From above cenote Angelica does not look like anything special. The small pond in the rainforest looks even uninviting – the water looks a bit dirty. But when the divers descend into this small lake – it turns out that somewhat deeper the lake becomes lucid. As they move deeper and deeper, less light gets through the mass of water only spooky blue and green hues remain. And, yes, there it comes – the somewhat nightmarish, moving cloud. At first, it may look like a bottom of the lake. Or – rather a shore of some boiling lake. Around its “shores” one can see the fallen leaves from the trees far above the lake. Some tree branches are sticking out from the fog. Divers descend in the white fog – and, it turns out, the lake continues below it! 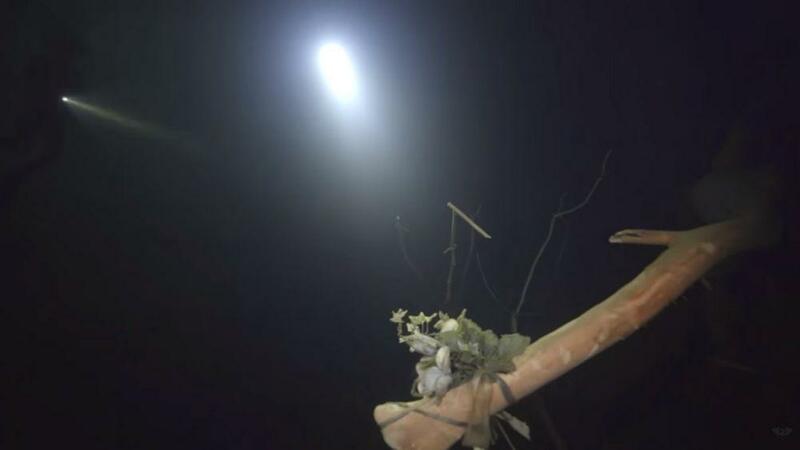 After moving through some 2 – 3 m thick layer of “foggy” water divers reach lucid, dark water below it. As they go through the cloud, a pungent odour of sulfur manages to pass the oxygen mask – and there it comes, the eternal darkness of dead water below this weird cloud. Cenote Angelita is rather close to the sea. It has vertical sides with the trees overhanging over it and it is very deep. These factors together cause unusual phenomena. This can be explained through several scientific terms. First word – lentic. Lentic ecosystems are those ecosystems which form in stagnant waters. If something – leaf, branch or buffalo falls in lentic waterbody – it stays there and decomposes. There are quite many such waterbodies around the world – and over the time these stagnant lakes or pools turn into swamps. But often this takes a lot of time – especially if this pool or lake has vertical, high banks and is deep. Just like Cenote Angelita. Second word – anchialine. Anchialine waterbodies are lakes or ponds which are located near the sea or ocean and consist of two layers of water. Above is a layer of fresh or brackish water formed by the rain and/or small streams. Below is sea water, which enters from the sea through a cave or seeps through the ground. Cenote Angelita is some 12 km from the sea but the land here is just 10 metres above the sea level. Extensive cave and fissure networks reach from the sea far inland. Cenote Angelita is such anchialine waterbody with a layer of seawater at the depth of some 33 – 35 m.
Third word – meromictic. A meromictic lake is a lake with several layers of water, which do not mix together. This might sound rare and exotic but in reality, quite many lakes around the world have such layers of water. Usually, the bottom layer is without oxygen, dead and often with dissolved salts. The upper layer is, well, the usual lake water. And finally – fourth word – chemocline. This is the border between two chemically different layers of water. The gloomy fog in Cenote Angelita is chemocline – a place where fresh water turns into salty seawater. Chemoclines are observed in many cenotes near the sea. But this is a special one. Organic matter which falls in Cenote Angelica often does not pass through the chemocline – sometimes smaller leaves are just floating in it. As this organic matter decomposes, the toxic hydrogen sulfate is produced. This substance as well, as swarms of microorganisms form the “fog”. Light can not pass through it – thus the lifeless seawater below it is in eternal darkness. 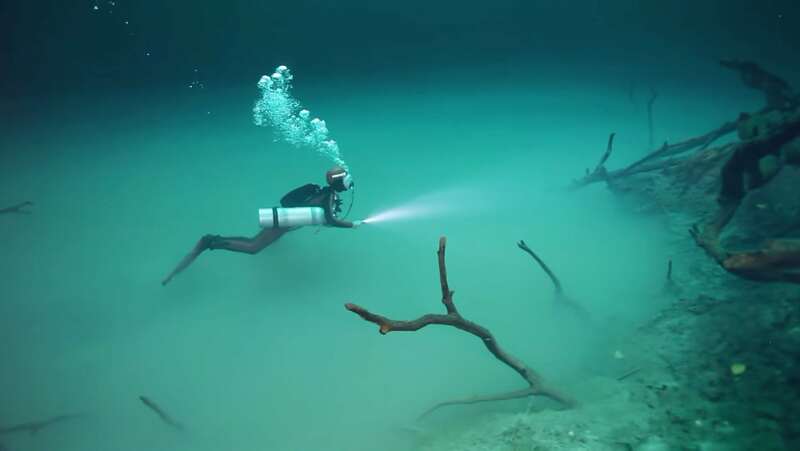 If something falls in Cenote Angelita – it is lost forever – none can find it in the complete darkness and thick layer of sludge on “real” bottom. As the water is in a slight movement, it may seem that the “fog” is a kind of underwater river. Nevertheless, this is not a river – water here is stagnant. 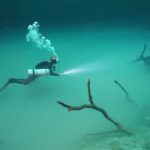 Diving in this unique cenote is rather dangerous – but it is an adventure of the lifetime! Well, divers gave a nickname to this site – “The Nightmare” – but what a weirdly beautiful nightmare it is! Bec Crew, Divers Are Exploring This Giant Underwater River, Shrouded in a Cloud of Toxic Gas, Sciencealert, accessed in 8th November 2018. 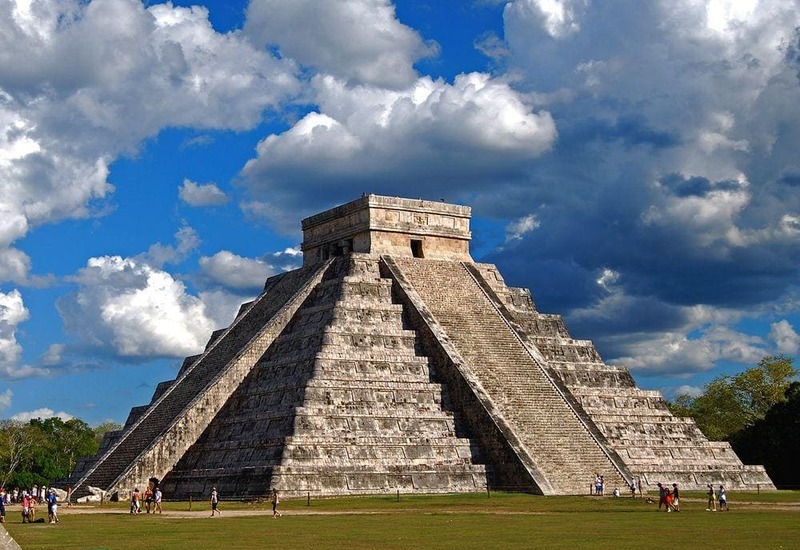 Area of this country was a cradle of several highly developed indigenous civilizations and some regions in the country are dotted with remnants of ancient cities with temples, palaces and pyramids. A Complete Guide for Snorkeling, Cavern and Cave Diving the Cenotes of the Riviera Maya. This book includes over 200+ color photographs and provides details of where and how to swim, dive and enjoy these beautiful cenotes located on the Caribbean coast of Mexico’s Yucatan peninsula.